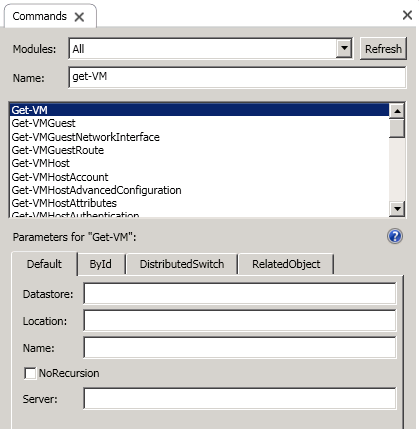 Many of us use PowerCLI, which relies on PowerShell. 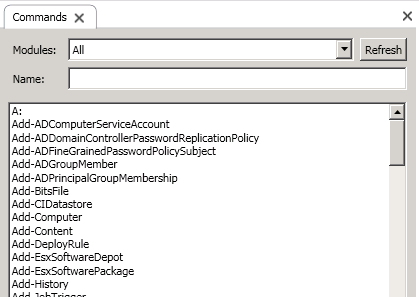 The default PowerCLI environment is pretty plain, but you can also use the PowerShell ISE and load the PowerCLI snap-ins in your profile. 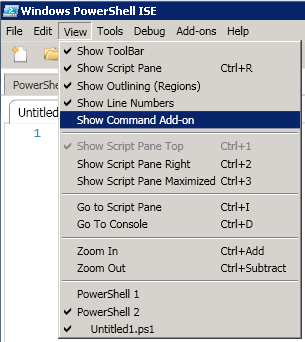 The ISE, or Integrated Scripting Environment, offers a lot of advantages to the regular PowerCLI or PowerShell interfaces: Intellitype, lots of keyboard shorts, and something called the Command Add-On. These buttons take the information you filled in and either run the command, insert it in the Console pane, or copies it to the copy and paste buffer. You don’t have to worry about getting formatting correct, it does it for you. If you’re writing a script, it can be easier to fill in some information here, hit copy, and then paste in the Script pane. You can also run a cmdlet, change the arguments slightly, and hit run again. Whatever you need to do. Please, learn to use the Command Add-On. It’s a very powerful part of the ISE and it will help you with rapid application development and learning. Enjoy!